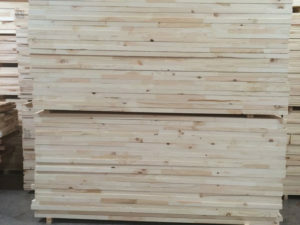 We have the stave core stiles and rails you need! We look forward to providing you with the highest quality engineered wood door stiles and rails, and exceptional customer service. Thank you for visiting our site! We hope to hear from you soon. We want to earn your business and keep it. 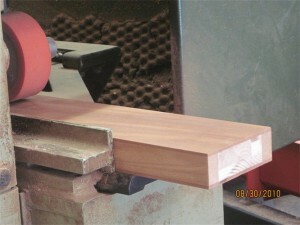 This genuine Mahogany stile is S4S coming out of the moulder. Most of our engineered stile and rail products are shipped S4S. However, some clients that use moulders prefer that we ship the stiles and rails in the rough. Either way, we are happy to provide stile and rail products to your specifications. 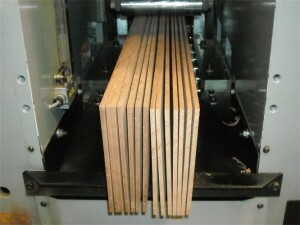 Engineered wood door stiles and rails machine beautifully whether S4S or in the rough. 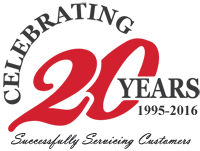 We provide engineered products for both the door and window industry. Engineered door stile and rail products and engineered window parts are custom made to your specifications in widths up to 10″. Looking for a supplier of a “stock size” engineered wood door stiles and rails? We can set up a program to meet the needs of even the most discriminating clients. 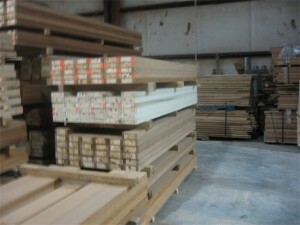 If you are looking to build stock doors, we can inventory stiles that meet your needs and shorten your lead times. Let us customize an engineered stile program for you. 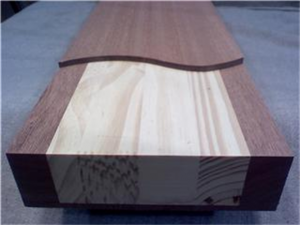 Our standard veneer thickness is 3/16″. 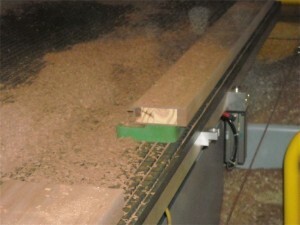 As you can see, our veneers are sawn not sliced. 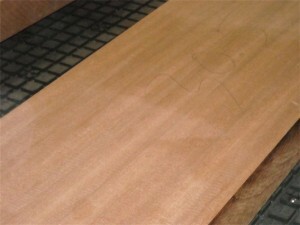 Engineered wood door stiles and rails work great with CNC’s and shapers. We can process your custom order no matter how large or small it may be. 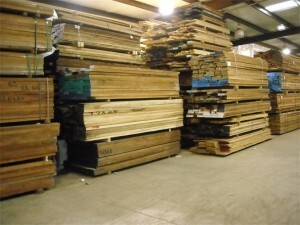 So whether you are looking to build one custom door or thousands of stock doors, we can help! We have the ability to manufacture large quantities within a short lead time. We welcome your order no matter what the size. 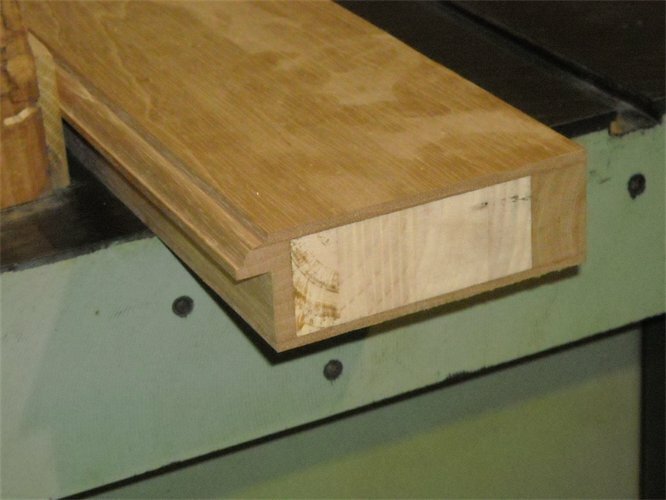 At Door Stiles, LLC, we manufacture our finger joint Eastern White Pine stave core in house where we control the process. We cut, finger joint and edge glue our stave core in house. Finger joint Eastern White Pine core is the center of our quality engineered wood door stiles and rails. The strength of this core helps assure that your door stiles will be more stable and resist warping better than a piece of solid lumber. Why leave the most important part up to someone else or another Country for that matter, where you have no control. We can also finger joint stave core out of the species of your choice. This is the very heart of our stave core door parts. 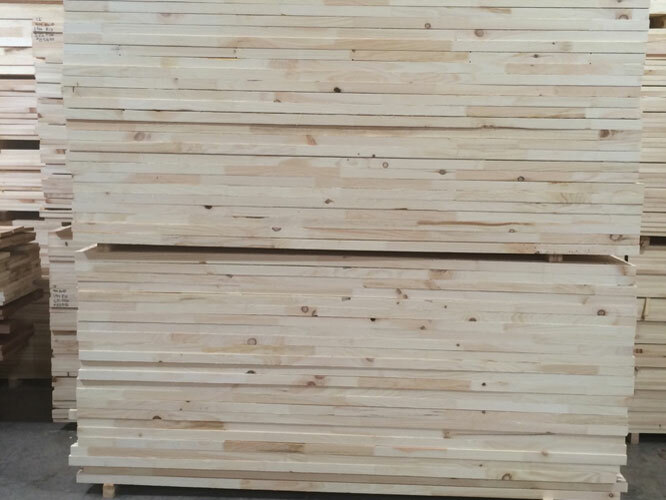 We use high quality SEL & FAS woods and can make products up to 10″ wide in most all varieties with out splicing. 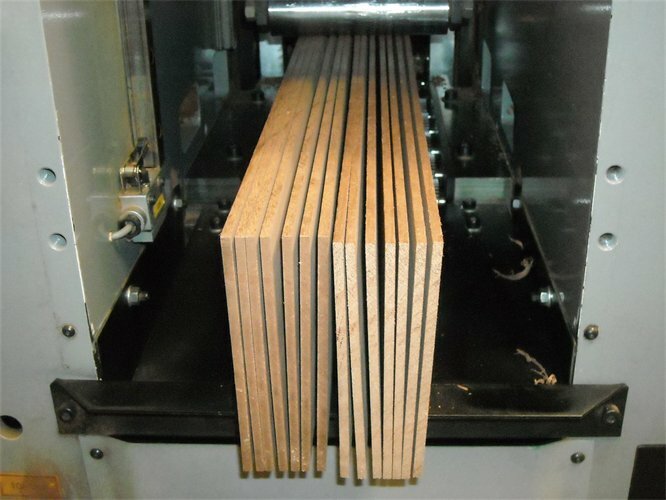 On woods such as Alder and others that are difficult to obtain in wider widths, we can easily bookmatch veneers to add to the beauty of your custom woodwork project. 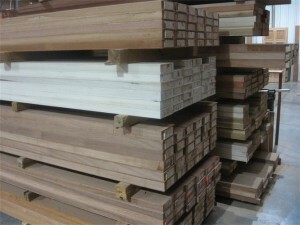 We manufacture engineered stiles and rails out of most all woods, exotic and domestic. We can supply your needs for Sapele, Spanish Cedar, African Mahogany, both White and Red Oak, Poplar, Soft and Hard Maple, Ash, Pine Fir, and many more woods.